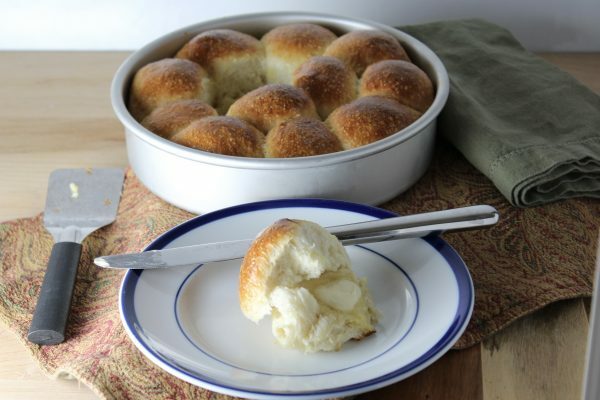 mmm…is there anything better than creamy butter melting on a warm fluffy yeast roll? These rolls come together quickly. First, mix your ingredients, then knead the dough. You can knead by hand, with a mixer fitted with a dough hook attachment or with a food processor fitted with a dough blade. For this batch, I used my KitchenAid 9-Speed Digital Hand Mixer with Dough Hooks. Let the dough rise until double, push it down and divide into 12 portions. Let them rise in your greased pan, then bake!! 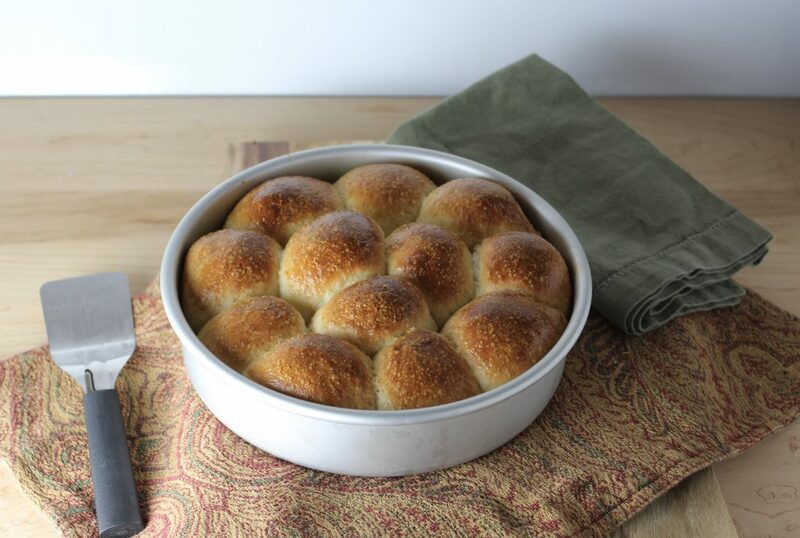 These fluffy, light yeast rolls that come together quickly! You can mix these by hand, with a hand or stand mixer, or you can knead in a food processor with a dough blade. 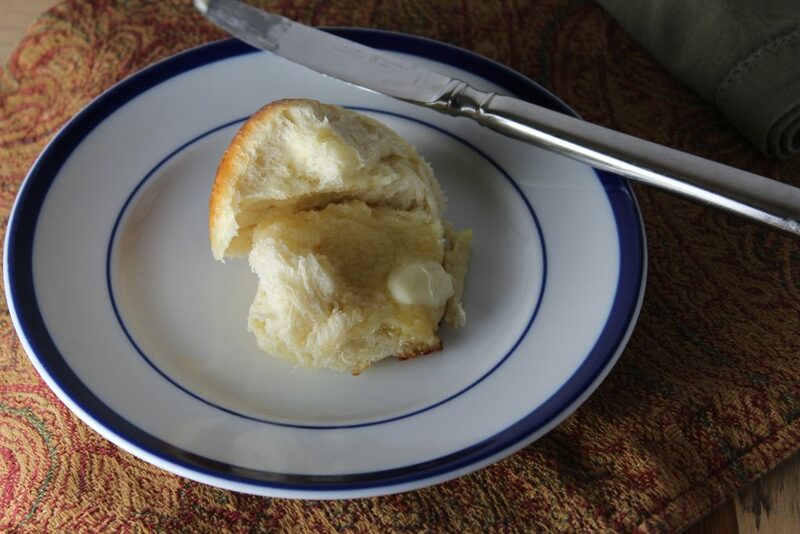 Make sure you have plenty of butter on hand to slather them with! Combine the flour, yeast, sugar and salt in bowl, stir to mix. 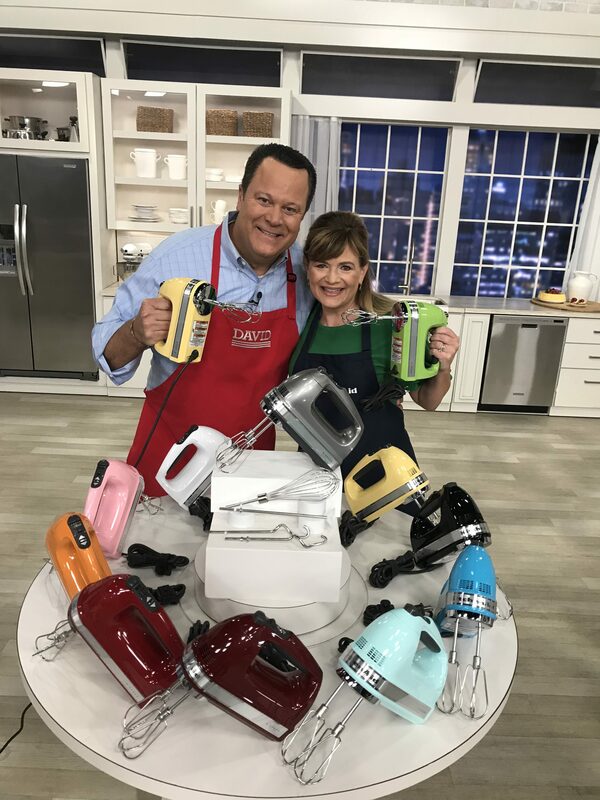 In microwave-safe measuring cup or in saucepan warm milk, water and butter to 110 degrees F.
Add warmed milk mixture to flour mixture in bowl and mix on low speed (2 on stand mixer.) Knead until smooth and elastic. If mixture is very wet and sticky, add another tablespoon or 2 of flour - use as little as possible. Fit dough blade into the bowl of food processor. Combine the flour, yeast, sugar and salt in bowl, pulse to mix. With food processor running on high, pour warmed milk mixture in through the feed tube of food processor. (Pour in a steady stream, should take less than 10 seconds to pour in.) You may need to stop and scrape the mixture down from the sides of the bowl. Pulsing sometimes is helpful to pull the mixture together. Once it forms a ball, allow it to roll around in the food processor a few times to knead the dough. If the dough seems way too wet or way too dry, you can add a tablespoon or two of flour or a teaspoon or two of water during the process. Once it's doubled in size (check your photo if you took one) and you can push a finger into the dough, pull out the finger and if the indentation remains, it's risen enough. Can take 20 minutes to an hour depending upon how warm your room is. Use some of the oil to lightly grease an 8-inch round or square pan. Gently press down the dough to release the air that made it rise. Divide the dough into 12 portions. I usually take a knife and gently cut the dough right in the bowl into 4 wedges, then I cut those wedges into 3 smaller wedges to get 12 portions. If easier, you can do this on a cutting board. Form each piece into a rounded ball and arrange in the prepared pan. Leave a little space between them. Make Ahead? At this point, if you want to bake them off later, you can cover them in the pan and place in the refrigerator for a few hours. They will take a little longer to rise when taking out of the refrigerator as they will be much colder.) I usually account for an extra 30 minutes or rise time. Preheat oven to 375 degrees F. Oven rack should be in lower-middle position. (Take a photo if you want a reference for when they've doubled in size.) Cover with plastic wrap, waxed paper or a clean kitchen towel and place in a warm spot until doubled in size, warm and puffy. Place in oven and bake for about 20 minutes (rotate pan half-way through) or until golden brown. You can check for doneness by taking the temperature of a roll toward the center of the pan, insert an instant read thermometer from the edge of a roll into the center. It should read at least 190 degrees F.
I bet if you guys so that you would sell alot of them.